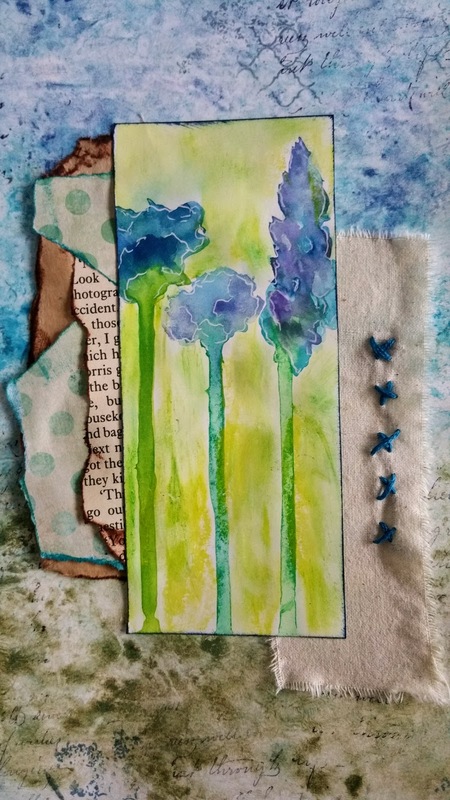 This page has been created for the Paper Artsty Challenge - Paint with Infusions. As I sait in the previous post, I don't have any Infusions, although I would love some, so have again substituted Jaquard PearEx. This page came together from a few things I had started. 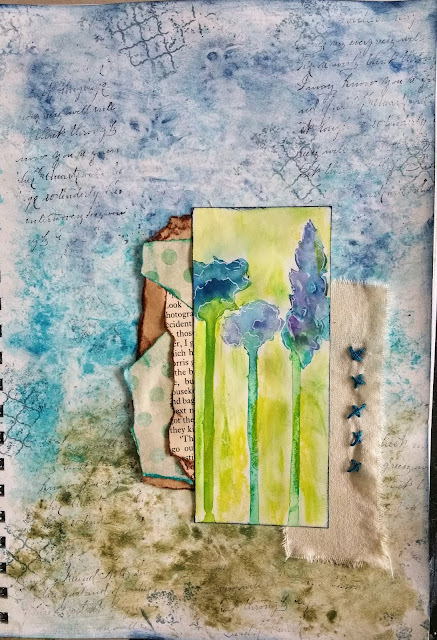 I work on the background specifically for this challenge, sprinkling the PearlEx on the page and spraying with water. As it has no binder, I wanted to fix it as it tend to rub off otherwise so dabbed some matt medium onto it with a brush. I probably should have used gloss as I may have kept more of the iridescence. I then added more texture with some stamping. 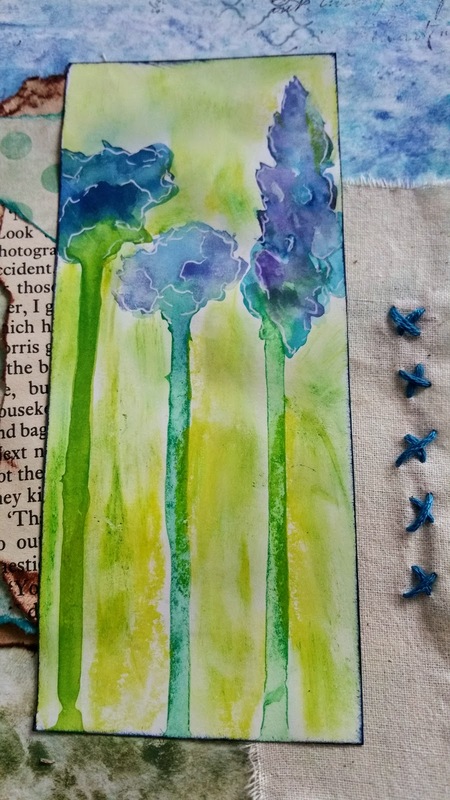 I had been playing with water colours to paint some small water colour flowers so decided to layer one of these with calico and various papers to create the focal image. All in all, I'm quite pleased with the finished page. 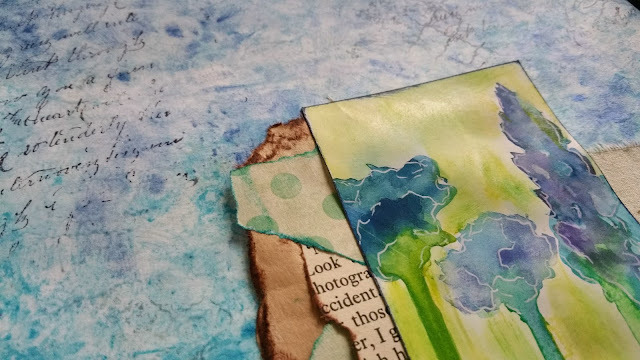 Great combination of paper layers. Don't know whether Infusions have got to NZ yet!